Controlling the flow of air in and out of the home is the right way to maintain a comfortable temperature within the house. There can be many holes, chinks and cracks and if all of them are not repaired and sealed, warm air will escape from your home and the rooms will remain cold in winter even if you have provisions for room heating. In summer too, the cooled air from your home will escape through the holes. Some people think that replacing the windows will insulate their homes. Replacing old and broken windows with new air tight windows will help to stop the air from escaping the room to some extent but there are other places too where the air can go out through. As long as all these air outlets are not repaired and closed, cooled or heated air will continue to escape and your expenditure on room heating and room cooling will continue to rise. Insulation prevents the warm air from escaping from your home in winter and cooled air in summer. So inside your home, the temperature will be a comfortable and pleasant. If the air inside your home is allowed to escape, the heating and cooling systems will have to work more to maintain the required temperature within the house. This will naturally increase energy consumption and the energy bill. When people notice an increase in the energy bill, what they generally do is to either switch off or minimize the cooling and heating systems, making them suffer both in winter and summer. They don’t bother to identify the root cause of the problem and solve it. By insulating your home and preventing the air inside your home from escaping, you can enjoy a comfortable temperature in your home and at the same time, save on your energy bill. Spray foam insulation and cellulose insulation are the common methods of insulating a home. Only a qualified and experienced energy expert can tell you which method is best suited for your home. 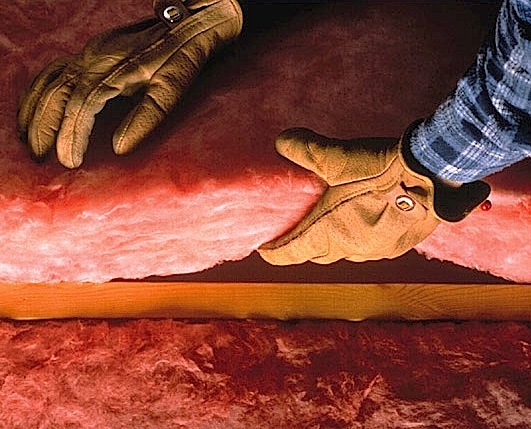 All methods of insulation have a value called the R-Value. It depends on the climate of the locality and the age of the house. The more is the R-value of a given method of insulation, the better it will protect the house. The houses which need insulations of higher R-Value are those houses in the cold places and whose age is more than 10 years. Energy, in whatever form it is, is costly. Using heating and cooling systems will cost considerable amounts of money. If your home can’t retain the warm or cooled air within the house, you are actually wasting your money on heating and cooling your home. Replacing only the windows and sealing your doors alone will not prevent the air from escaping. Complete insulation of the house is the only way to ensure that warm and cooled air doesn’t escape to the outside. If you can retain the air inside your house, your energy consumption will be reduced and there will be savings on your energy bill. In addition to all these benefits, you will have a comfortable life both in winter and summer. If you want to have a comfortable room temperature both in the winter and summer at less cost, you should ensure that no air leaks from your house. And the only way to make your home air tight is to insulate it completely. i’m in yuma arizona,usa. the most sunny days in all of usa. i plan to change over to solar. i have an all electric house. my monthly bill was for 850 kilowatt hours. it can triple that with the ac on in the summer. it gets to 120 degrees here. i am wondering if i can get the quantity of panels needed, up on my roof. its a metal roof. house is not set up for economy. eg;6 -75 watt lights to light a room. i must do the best i can with what i’ve got. the power company will not help defer the costs. its out of pocket so cost is very important. i only see elect bill going up so i’m trying to stay ahead of the costs that are sure to come. In the summer season we have conserve energy which is done in the winter season to cool our house, the both cases is played a role by the solar heat systems to control this problem as much as strong to seal the house. Consumers who are living in the southern areas use more heating energy because of high colder climates; this is really a worried matter for them.